Richard G. Cowart is the Chair of the Firm's Health and Public Policy Department and a member of the Firm's Board of Directors. The Health and Public Policy Department of Baker Donelson is regarded as one of the premiere health law practices in the country. It has been nationally ranked by Modern Healthcare, Chambers USA – America's Leading Lawyers for Business, Health Lawyers News and other health care publications. Mr. Cowart is a recognized authority in advising senior management regarding policy, regulatory and business issues related to health care. 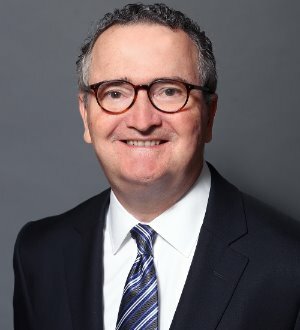 He serves as strategic counsel to health care companies (both for profit and not-for-profit) and counsels providers on business, policy and governance issues, with an emphasis on business transactions. Mr. Cowart is a nationally known speaker and writer on health care issues. He was the national columnist for Medical News, Inc. for 18 years and is the health business columnist for The Tennessean. Corporate Counsel, "Best Lawyers: Healthcare"
Nightingale's Healthcare News, "Nation's Best Hospital Attorneys"